pradeepkumar 1 year, 6 months ago. Last week, we received this testimony which is rather a career story of one of our members. If some of you are interested in this type of career, just read his path below. You can also send us your own career story in order to help young sudents who are many to read this blog! Just send your article by mail and we will publish it! “Being Principal Analyst, my job with a public utility company entails electricity and gas transmission and distribution. I received my AS in Electromechanical Technology at Bristol Community College after which I pursued my BS in Electrical Engineering Technology at Roger Williams University. Both degrees provided ample foundation for my next education step, namely an MS in Management at Lesley College. Working as a fire control technician in the US Navy has taught me plenty about this industry. I was there 4 years and a total of 7 in the Naval Reserve. Some of the sharpest electro-mechanical skills can be soaked up in the Navy; the GI Bill had made things quite convenient for me by providing partial funding for my AS and BS degrees. I worked even while learning. My role during school days (outside school, of course) was that of Field Services Engineer pertaining to power plant air quality emissions (I was in this job for the 7 years mentioned earlier). At the end of my run, the largest public utility in the Northeast hired me as supervisor for different tasks and projects. I currently work for that very company and offer chain management and transformer/capacitor purchases for them. The scope of this job is great. The company I work for is now part of America’s second largest multi-national gas/electric transmission and distribution corporation. Being an electrical transformer specialist means possessing a keen understanding of the technical specifications and specialty applications of 600 (standard average) electric distribution transformers and capacitors. This is not hard with practice and familiarity. Costing anywhere from $1500 to $40,000, transformers are expensive and my responsibility is to see to it that the company does not incur unwanted mechanical expenses that could have been avoided. 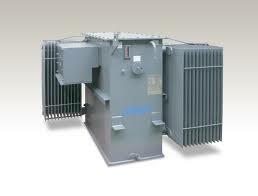 There are always a select number of transformers because too much inventory can cause capital concerns. Overseeing the inventory in each location the company has a seat in, namely as the supply-chain person for the northeastern United States, I have to analyze the project’s future requirements and order apt inventory needs for each transformer and capacitor type owned by the company, and that will benefit the project. Project engineers in each region work with me, and I with them, to discover ways to standardize transformer types and reduce overall inventory and control expenses. To meet the demands of regional transformer devices promptly, I also have to coordinate with warehouse management and transportation personnel. When transformers do not rise to the specifications demanded of them it is my responsibility to deal directly with vendors and indulge in discussions that include application standards. A good portion of my time is spent on analyses. For this, I rely heavily on Access and Excel supplemented by Business Objects to help craft reports from our corporate inventory and purchasing systems. Algebra and Math are two other crucial proficiencies I need to have, not to forget people and communication skills to better work with engineers on how to manage inventory so the company does not have useless millions in sectors they could have saved. That money, if saved, can be put to better use serving the company in several other fields. 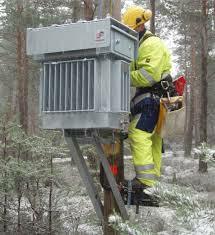 This is indeed a huge responsibility for electrical transformer specialists. Electricity is a need not a luxury in the modern world. My biggest challenge is to see to it that the company I work for has sufficient transformers at hand, especially for emergencies; including natural disasters (earthquakes, blizzards, hurricanes, tornadoes, etc.). The balancing act comes in when I have to keep inventory low and only on a ‘needed’ basis; nothing extra, nothing fancy. To maintain this, I perform weekly analyses so we do not run out of a transformer that can then mean power loss for extended time periods until an alternate machine is installed. This can translate into millions in financial losses. Another challenge is nurturing professional relationships with U.S. and overseas people. This means excellence in communication and comprehension skills. Degree Level: An AS or a BS degree. Degree Field: Electrical Engineering or Electromechanical Engineering. Work Experience: For license or promotion reasons, you need at least 4 good years of experience in the field. General Skills: Proficiency in Business Objects (software), including Access and Excel. Math and algebra skills are a must-have. Other Skills: Excellent people and communication skills. Soft skills are as important for electrical transformer specialists as technical know-how. Learn to work with people (team building, negotiation, management, leadership) and you will do right by your job. So what did you think about this carrer story? Any Electrical Transformer Specialists in here to aprove it in the comments section below?